Lighter and louder than ever. 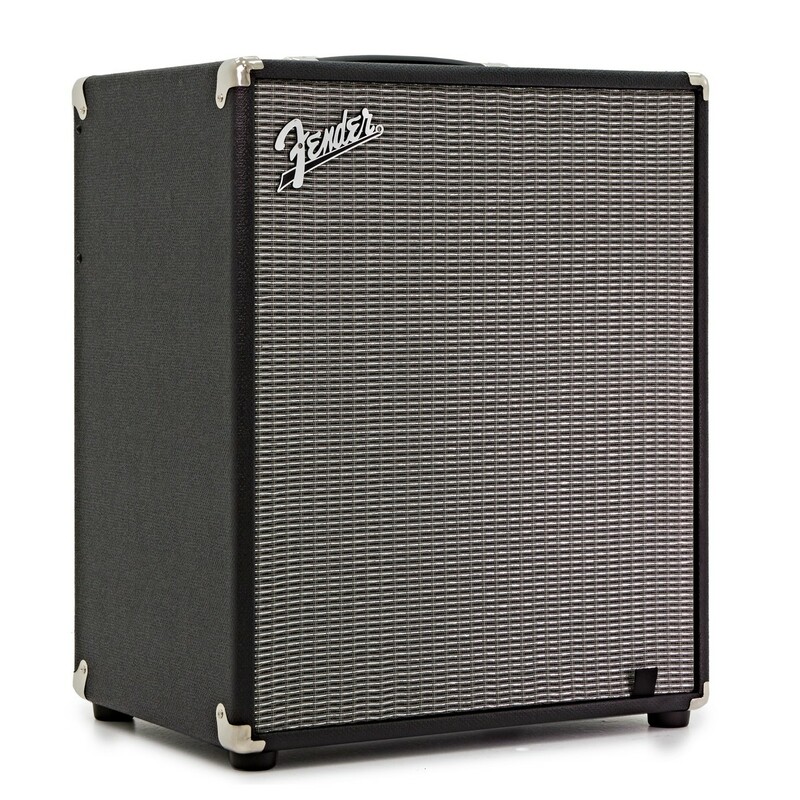 A bass amp to slot straight into any live setup. 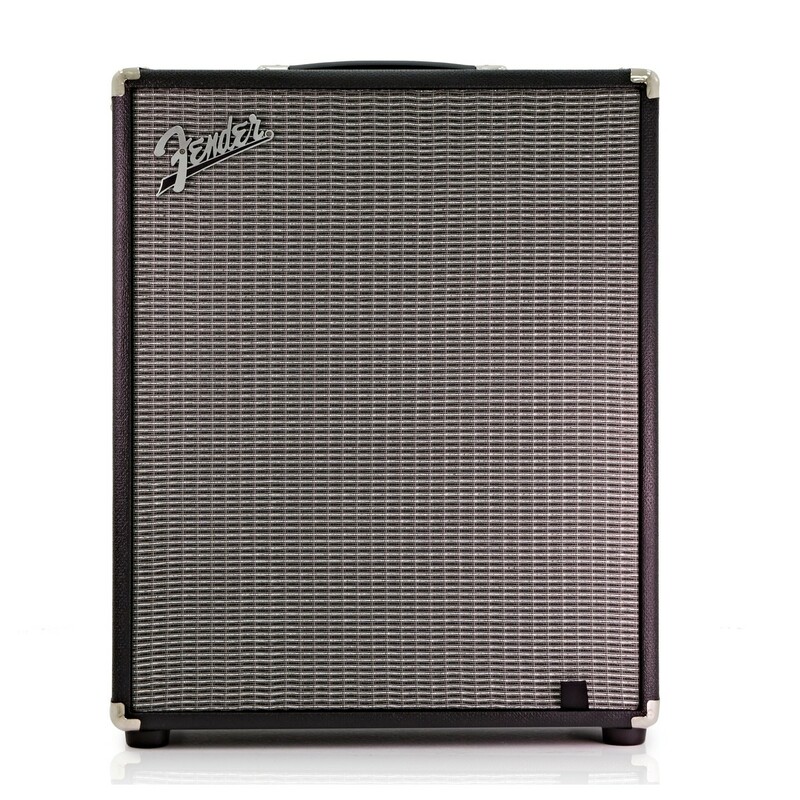 The Fender Rumble 500 2x10 Bass Combo captures maximum sound in a portable model you won't believe can produce such gigantic volume. Fender know a thing or two about sound quality. Their guitars, amplifiers, and basses are staples in pretty much any genre you can think of. 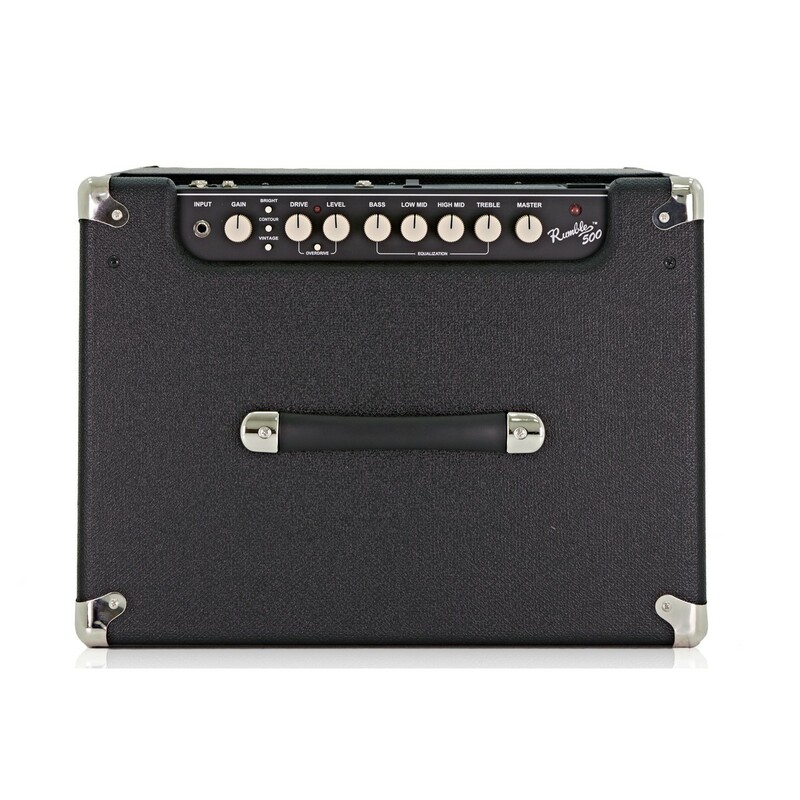 With the Rumble 500, they've put all of their time-earned expertise into crafting the perfect bass amp to free your sound. Add thumping, meaty drive to your bass playing with an easy-to-use, foot-switchable overdrive circuit. Practice at home thanks to a headphone input. Enjoy extremely easy transportability thanks to the Rumble's lightweight stature. Hugely powerful sound in a tour-friendly model. Bass amps don't come better than this. Never compromise. There's nothing worse than a weak amp setup ruining what would otherwise be a magnificent live performance. 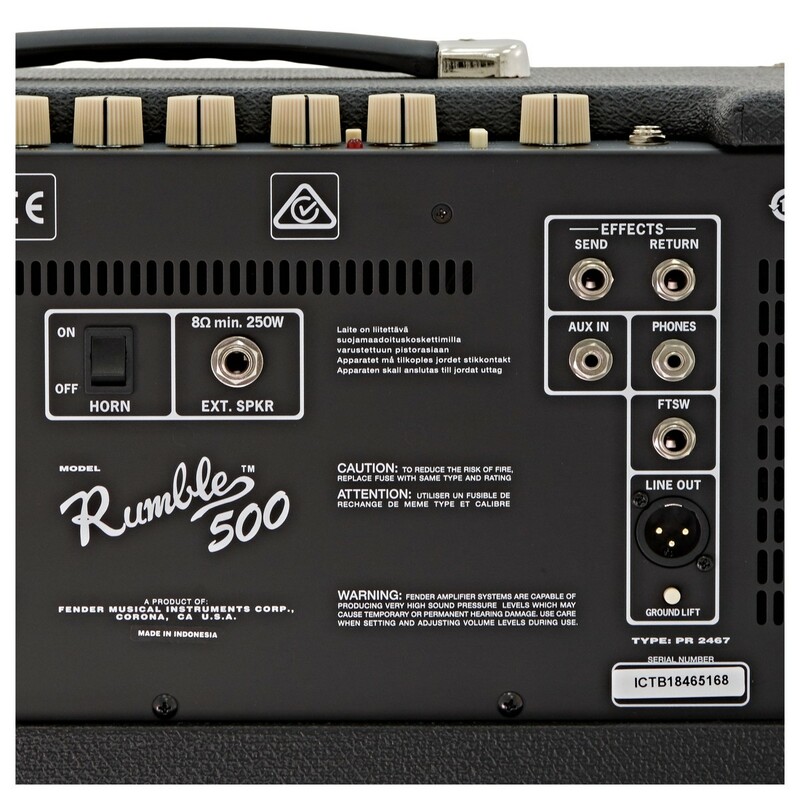 The Rumble 500 is the powerful, super-strong answer to your prayers. Every bassline you play will soar above the mix with definition and sharpness. 500 watts of power give you amazing volume capacity to ensure your playing is heard with depth and clarity in venues of any size. Two 10" Eminence-Designed Ceramic Magnet speakers give you a booming sound to exhilarate audiences. Capture the perfect live sound. Ideal for use in environments where noise would be an issue. The Rumble 500 comes fitted with a headphone jack for when you want to hone your bass sound without disrupting the neighbours. You'll be able to practice without a problem at home, late at night, and in hotel rooms on the road. A fantastic all-round amp to give you electrifying stage power, and the ability to play wherever, whenever. 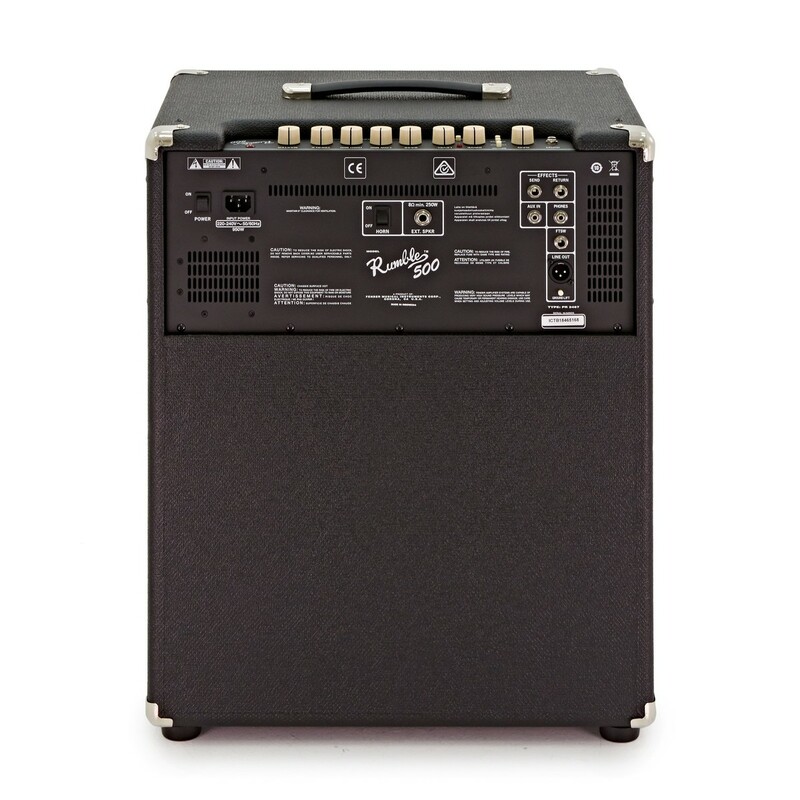 The Rumble's magnificent volume and sound quality make it the perfect live bass amp. But often, amplifiers as powerful as this can be extremely bulky, heavy, and difficult to move around. This isn't the case with the Rumble. Its lightweight mass makes it fantastically simple to transport, and eliminates the hassle of having to drag around a gigantic, lumbering unit. The ultimate amp for the road. Dimensions: 17.6" x 23.1" x 27"